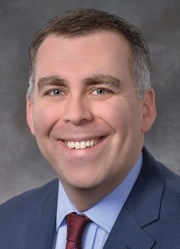 Mike Slocum joined Indiana INTERNnet as its executive director in November 2018 and leads efforts for this statewide not-for-profit organization managed by the Indiana Chamber of Commerce. Indiana INTERNnet is the catalyst for expanding the creation and use of experiential learning opportunities as a key strategy in retaining Indiana's top talent. Mike connects students, employers, and educational institutions with the vision of helping every Hoosier student who wants an internship to have one. Mike earned bachelor's degrees in history and political science from Ball State University, a master's degree in adult and higher education from Grand Valley State University and is currently a doctoral candidate in Ball State University's adult, higher, and community education program. Prior to joining Indiana INTERNnet, Mike worked in a variety of capacities at Ivy Tech Community College, including advising, program management, and statewide guidance of campus career centers. Mike's other roles in higher education, workforce development, and student success have been at Grand Valley State University and Ferris State University. Allison joined Indiana INTERNnet in October 2016. She received a bachelor's degree in journalism, with a concentration in public relations, from IUPUI. Through her previous internships, she gained an understanding of the benefits of experiential learning. 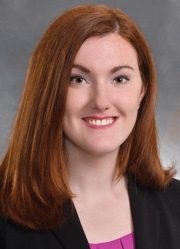 Allison provides website support to employers and students, assists in maintaining the Indiana INTERNnet site, collects program metrics and connects with employers around the state to promote IndianaINTERN.net and the EARN Indiana program. Her overall goal is to increase the number of internships available to Hoosier students. 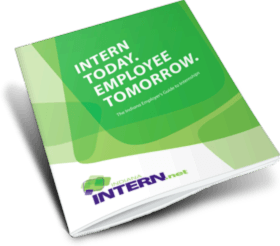 Caitlyn joined Indiana INTERNnet in August 2018. She obtained her bachelor's degree in strategic communications with a specialization in public relations from Butler University. Previously interning with multiple local organizations, she experienced the importance of internships firsthand. Caitlyn provides website support to employers and students, manages social media, oversees IMPACT Awards logistics, and attends career fairs to promote Indiana INTERNnet to students.